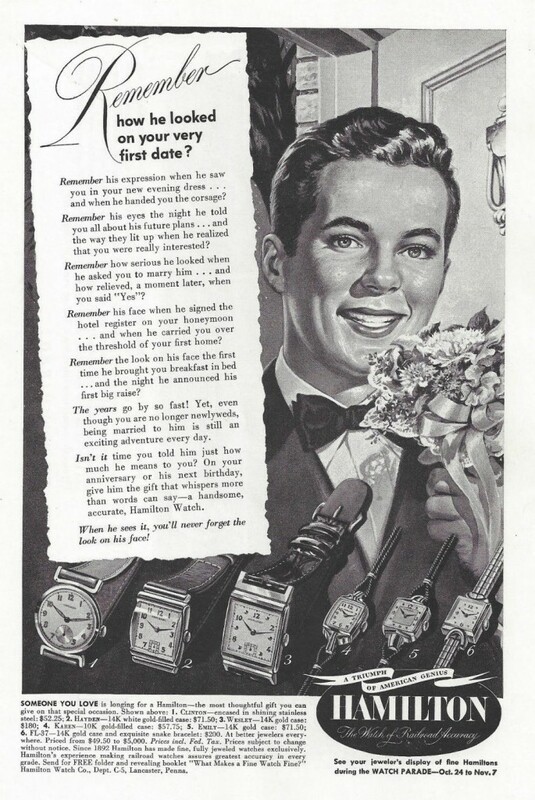 Hamilton Watch Company watch ad, circa 1949. 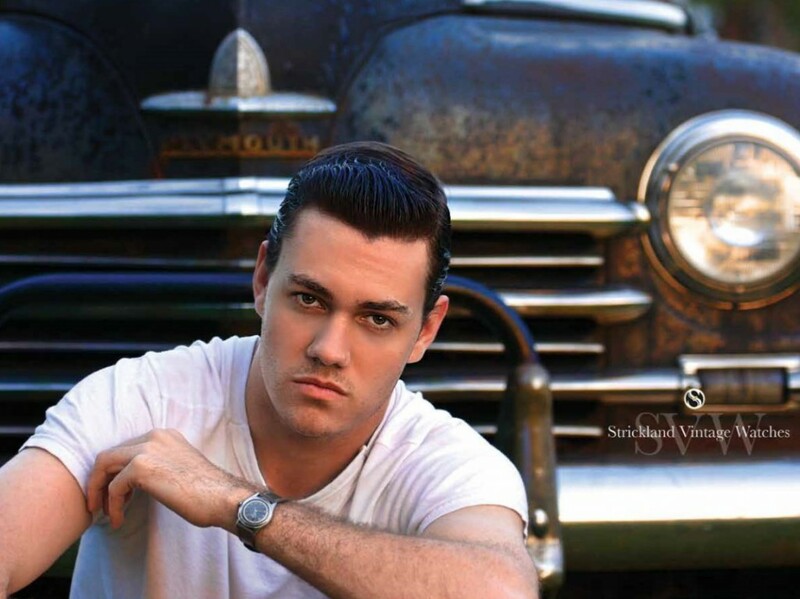 This month’s SVW calendar image is of Davis Jasmin, by Rossie Newson Photography. 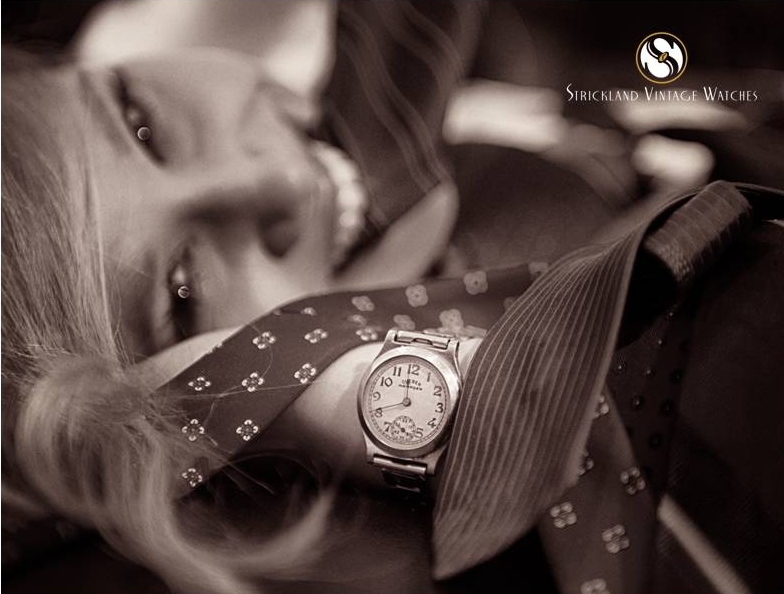 Davis is wearing a men’s 1956 Croton Acurator wristwatch.